Thousands of leftist protesters took to the streets of Brazil this week to march in “resistance” against the election of conservative President-elect Jair Bolsonaro, with some groups protesters turning into violent confrontations, local media reported. Large protests took place across the country to against Bolsonaro’s victory, claiming that he will erode Brazil’s democratic freedoms and return to the military dictatorship that led the country from 1964 to 1985. Protesters also complained about their fear of a rollback in their progressive freedoms, citing Bolsonaro’s well-known strict Christian Evangelism and socially conservative views. Many held signs and attacked him over what they claim are his racist, misogynist, and homophobic views. According to O Globo, a group of hooded demonstrators remained in Roosevelt Square in central São Paulo after most of the protesters had already left. After violent confrontations broke out, riot police were forced to control the situation with tear gas and rubber bullets. There is currently no information available about potential injuries. 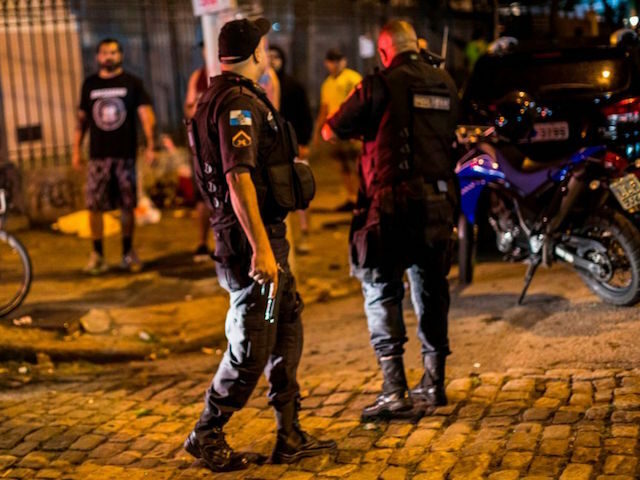 Similar protests also took place in cities such as Rio de Janeiro, Porto Alegre, and Recife, causing blockages and traffic jams, although there were no reports of violent confrontations. Although widely expected, Bolsonaro’s victory has come as a major upset to Brazil’s leftist establishment, who have governed the country since 2003. His campaign, which focused on law and order and crackdown on corruption, captured the imagination of many Brazilians frustrated with soaring levels of crime and the corruption scandals that have rocked the country’s political system.